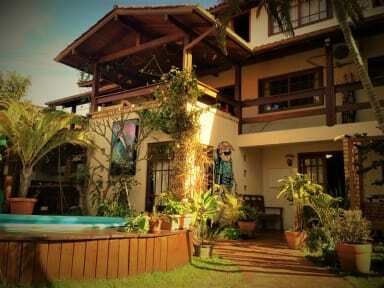 Tucano House Summer Hostel, Florianopolis, Brazylia : Rezerwuj teraz! will charge guest credit card from 50% to 100% of total amount, depends how much in advance guest let us know about cancellation. We are a Friendly Hostel located on the magical Island of Florianopolis, off the south coast of Brazil. 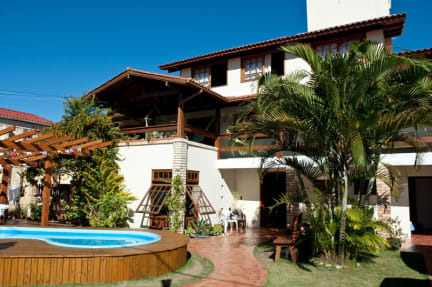 Owned and run by a friendly out-going team of local & international staff, we're here to show you the true island charm of Floripa & everything it has to offer! Our rooms are sunny & spacious and include female and mixed dorms, as well as double and private rooms (which needs to be booked in advance to secure availability). We are perfectly located in the heart of a beautiful suburb which rests on the bank of a lagoon called Lagoa da Conceição. Lagoa is known for its buzz and vibe and is the home to Floripa's best known night clubs, bars, restaurants & shops. It is a short 10 minute drive(or a leisurely 40 minute walk) to the most famous beaches on the Island- Praia Mole & Joaquina, where you can soak up the sun and enjoy the natural beauty(and beauties!) of Brazil. We are eager to have you stay in our humble, yet energetic Backpackers, because Our House is Your House! !